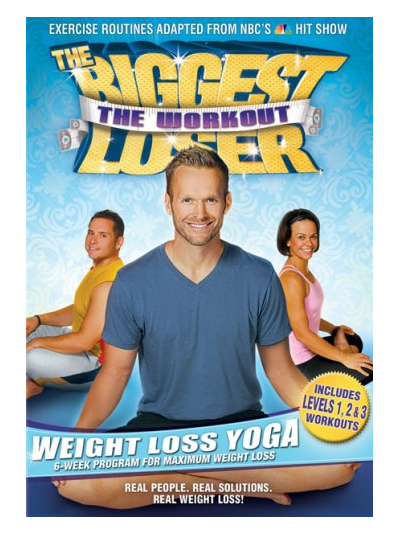 The Biggest Loser Weight Loss Yoga Just $7.12 (Reg. $14.99)! You are here: Home / Great Deals / Amazon Deals / The Biggest Loser Weight Loss Yoga Just $7.12 (Reg. $14.99)! Head over to Amazon and get the The Biggest Loser: The Workout – Weight Loss Yoga for just $7.12 (reg. $14.99). Shipping will be FREE with Amazon Prime or an order of $49 or more. You’ve witnessed extraordinary weight loss on NBC’s hit show. Now you can get with the program and achieve pound-shedding results in just 6-8 weeks with the transforming power of yoga!